Tow Truck Insurance Grand Rapids Michigan – Lowest Rates Now Available! If you’re looking for low rates on Tow Truck Insurance in Grand Rapids Michigan and all of the surrounding areas look no further than Pathway Insurance. Call to speak with the licensed agents of Pathway by dialing 1-800-998-0662 Monday through Friday 9 AM to 5:30 PM Eastern Standard Time. 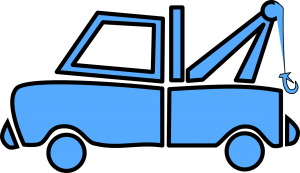 We Specialize in Michigan Tow Truck Insurance – Open Seven Days per Week! Did you know we are the only independent insurance agency we are aware of offering quotes for Tow Truck Insurance in Grand Rapids Michigan seven days per week? Why do we offer quotes and information seven days per week? Because it’s likely your business is open seven days per week. Should you not expect your insurance broker to keep seven days per week business hours if you have a question, need to make a payment, or file a claim? You can trust the agents of Pathway Insurance to provide this exact service to you if you decide to choose us for your Michigan Tow Truck Insurance needs no matter if you own a Garage, a Tow Service Company, or a New or Used Car Dealership. We are available when you need us— seven days per week! How Do You Reach Us on Saturday or Sunday? Simply click on our chat system located on our website and a licensed agent will get back with you shortly. What type of service can we provide to your business on the weekends? As we mentioned we are not aware of any of our competitors offering Tow Truck Insurance in Grand Rapids Michigan offering 7 day per week service. Would you not rather be insured with an agency like Pathway Insurance when we can provide extended contact hours? Tow Truck Insurance Grand Rapids Michigan – Another Big Advantage We Offer. Because one of our specialties is Tow Truck Insurance we represent a number of top Rated Tow Truck Insurance Companies in Michigan. Most retail insurance agencies only represent one company offering Michigan Tow Truck Insurance. What’s interesting is that when the largest underwriter of Michigan Tow Truck Insurance announced a nationwide moratorium on tow truck insurance in all 50 states, meaning specifically they would temporarily no longer insure tow truck companies. We had a large number of other retail agencies calling our company to get Tow Truck Insurance for their customers! Tow Truck Insurance Grand Rapids Michigan – Buy from Pathway for the Best Value! Doesn’t it make more sense to purchase your commercial insurance from a company that offers so many different options? *Not all of our insurance carrier partners allow us to add or replace vehicles on the weekends, to process payments, change coverage limits. Our online agents will advise you if we can provide this to you or not. We can file claims seven days per week with all of our carrier partners.